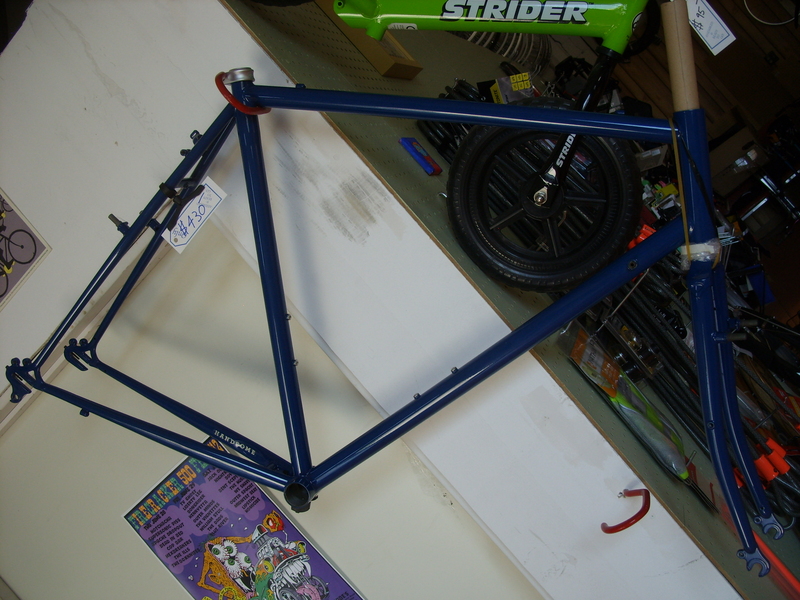 Get a clue, because it’s neither game nor mystery – a killer bike is fun for the whole family! 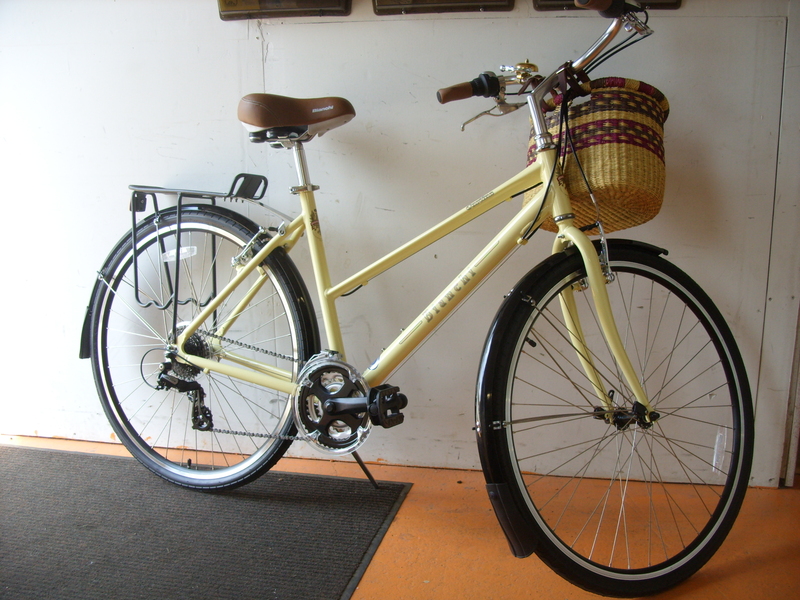 This Handsome Devil complete is an awesome ride and nicely complemented with Handsome’s own Mud Butler fenders. And the PDW Take Out Basket will ably carry a six pack and a u lock for when, you know, you have to lock your bike up. Or need to take someone out… on a date. Fresh builds that came out of the shop last week, both got a handlebar switch. The Bianchi Cortina dresses up well. 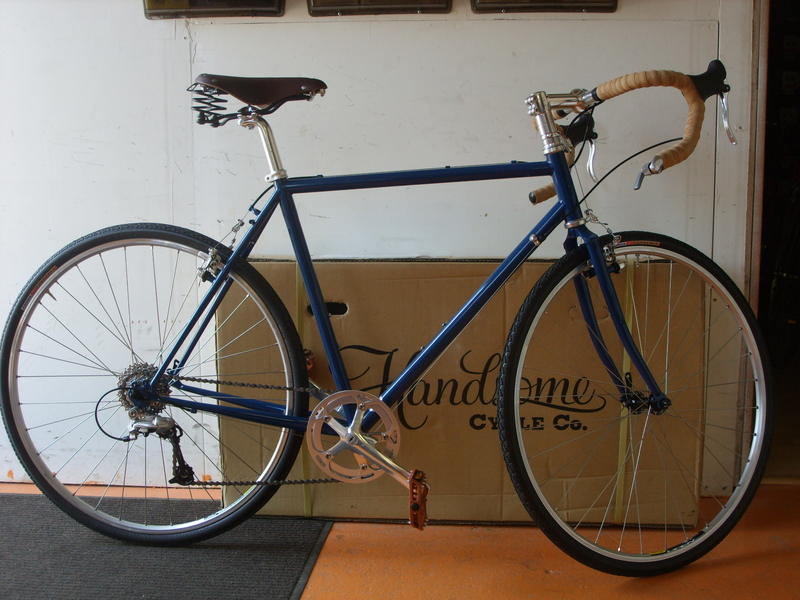 Rack, fenders, a handwoven basket and a handlebar switch to a Nitto Northroad all make that brass Crane bell DING. We sometimes struggle to find the perfect adjective to describe a bike, for this one we can just go with handsome. 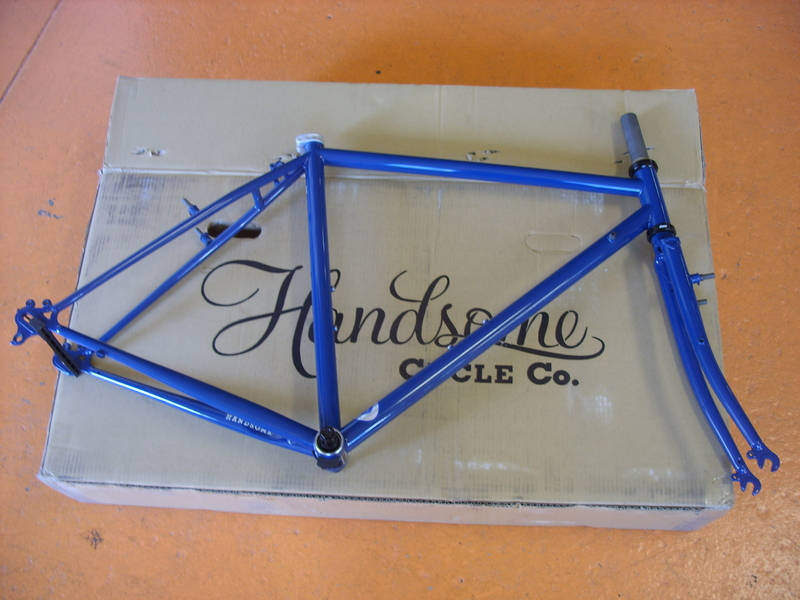 Yep, we are now Handsome Cycles dealers and while this complete Devil went out the door after being converted from upright bar to drop, this frameset is here for you ogling pleasure. Fingerprints will not be included, we will build it up however you like, and clean and polish it for you if you buy it!